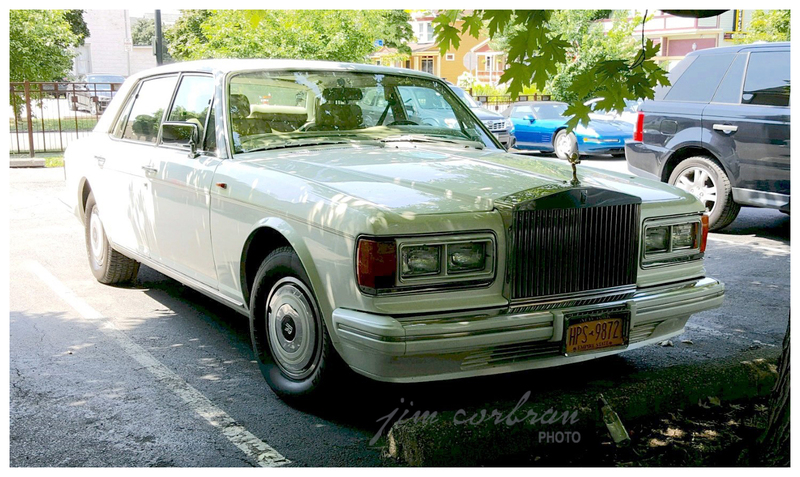 No, it’s not every day that you come across a 1987 Rolls-Royce Silver Spur on Buffalo’s West Side, but when we did luckily we had a camera handy! 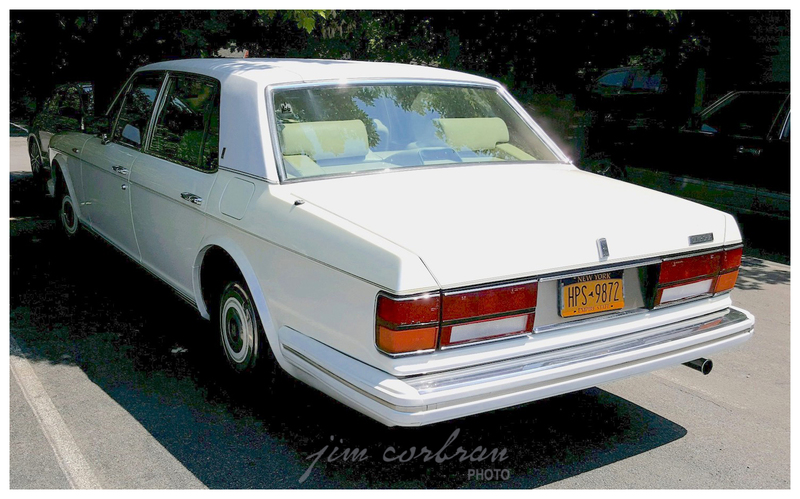 The Silver Spur was a longer-wheelbased version (by about four inches) of the Silver Spirit — both of which were introduced in 1980 and produced through 1999. This car is a Mark I; changes (or, more in the R-R spirit of things, refinements) were made which resulted in Mark II (1989), Mark III (1993), and Mark IV (1995) versions. According to Wikipedia, the “IV” (or the number 4) moniker met with resistance in some Far East countries where it is a symbol of death; there those cars were designated New Silver Spirit/Spur. A turbocharged Flying Spur was made available beginning in 1994. The Spirit/Spur was eventually replaced by the Silver Seraph, introduced in 1988.